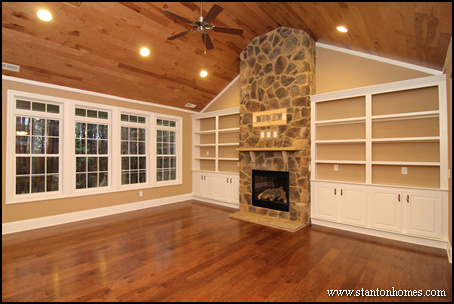 What's your favorite mountain house style Great Room? 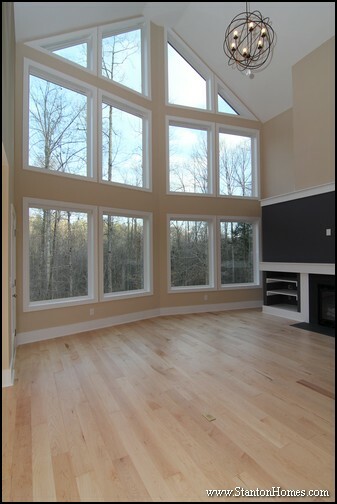 Vote on the great room windows photo you love most (and then request the floor plan to match, here). 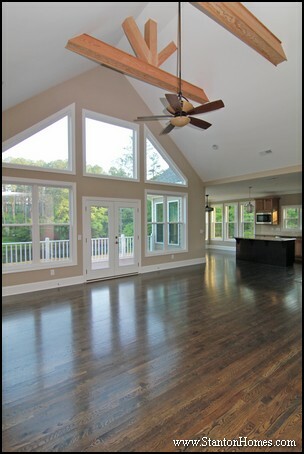 See the Smokey Ridge photo gallery here, with more angles showing how the great room opens to the kitchen. This Stanton Home is called The Treehouse. 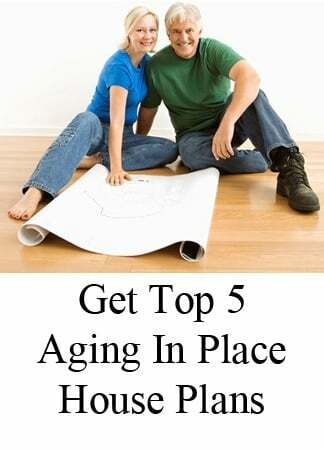 See a photo gallery, here. 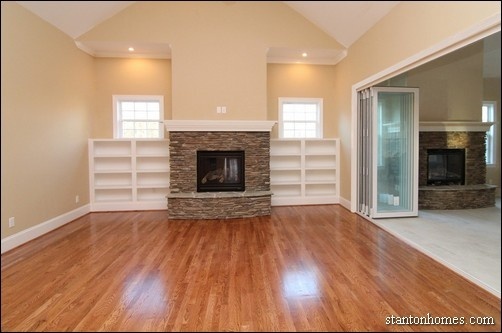 For more photos inside this Raleigh new home, click here. 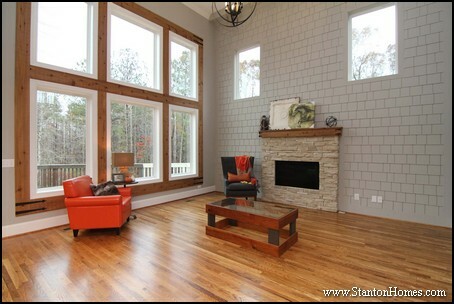 See more of this Raleigh mountain home - click here for photo gallery. 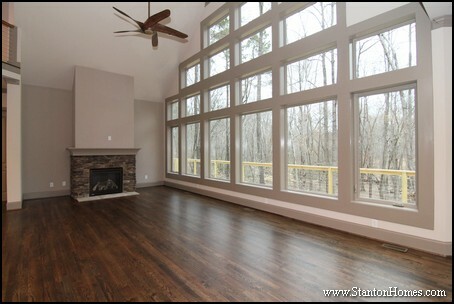 For more views of the fireplace and great room windows, see the Arcadia mountain home gallery here. In this mountain house great room, three large windows cover the same distance. Do you like patterns with many smaller windows, or only a few extra large windows? 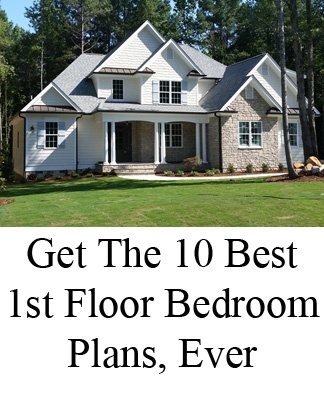 The craftsman style exterior, along with interior photo of the kitchen, master suite, and living spaces, are in this gallery - click to see. 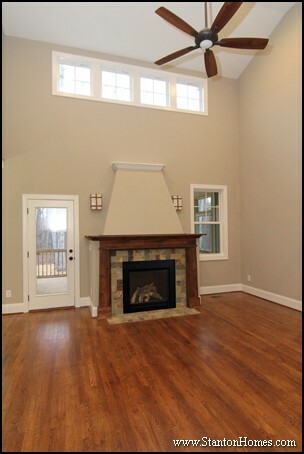 Do you want to live in a Raleigh Mountain style home? 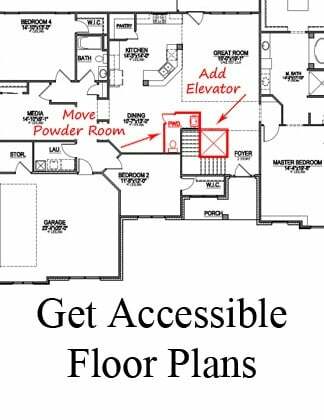 Create special features, like mother in law suites or accessibility. Redesign the exterior. Or the kitchen. Or the master suite. Or just about anything. 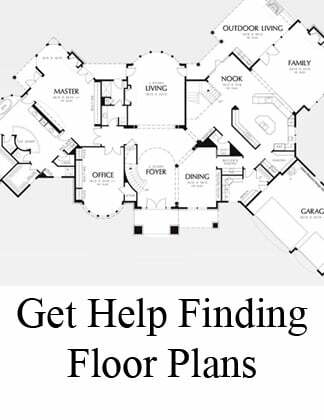 Get our top 10 first floor master house plans, here.